As I wrote yesterday, Neil and I became good friends, albeit that we only met once. Neil kept an eye on my writing - and a fine eye, at that. So fine that not only was he astute to when I'd got it right or wrong, he also enjoyed spotting when I'd been lucky enough to get something rarely seen in today's journalism: The Perk. "Best blag ever?!" wrote Neil, when he noted that I was in Hawaii, writing a piece for the Telegraph. 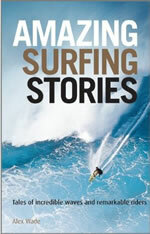 I confessed that it wasn't bad, thanks especially to the help of Billabong in getting me there. Ten years or so ago The Perk was a regular facet of journalism. The recession has largely done for it but every now and then The Perk still happens. I fancy that Neil would smile at the generosity of the good folk at Peugeot, who have lent me a 5008 MPV. My brief is simple: to tell them whether I think the car is any good for an active lifestyle. In return, I can have it for three weeks. So - with Neil smiling at my shoulder, for rarely does one get lent a nice new car for three weeks - what's it like? To find out, I drove the MPV - that's a multi-purpose vehicle, if I'm not mistaken - to Huddersfield last Friday. It was loaded up with my son Harry's kit: he's a musician, and after his hols in Cornwall I was taking him back to Huddersfield Uni, where he's studying music. The 5008 drove like a dream and I enjoyed the Sat Nav, which I've never had in a car before (a consequence of always buying relatively high mileage VW Passats and driving them into the ground). There's oodles of room in the car, fantastic visibility and a great sound system. The only thing that took some getting used to was the height and the reversing camera. I like to see where I'm driving, when reversing, rather than look into a video screen - but, in fairness, I think a driver is supposed to do both. On Saturday Harry and I drove via Todmorden, which I remembered from walking the Pennine Way many years ago, to Burnley FC, where not even the comfort of the 5008 could make up for QPR's abject performance and 2-1 defeat. Sunday, though, was better, as Harry's photos show. We headed into the Peak District and had a great day. The drive home took six and a half hours and was smooth as you like. amazing. At breakfast just this very morning, Mrs Plant and I were discussing which one of the fabulously diverse range of Peugeot road vehicles was our 'dream car'. I must say, 5008 mpg has swung it for me, though Mrs Plant is still a huge fan of the upholstery in Peugeots old school Renault 4. Can you help settle this finally, once and for all? Tony! It's good but not 5008 mpg good... But good to hear from you. As you can see, I have resurfaced. In fact I'm even about to paddle out at a highly secret spot called Danger Bay... Catch up soon!